05.26.15 | Anti-Bullying Blog | Comment? On Saturday (23 May 2015) millions of people across Europe and around the world tuned in to see Sweden win the 60th Eurovision Song Contest, with the song ‘Heroes’, performed by Måns Zelmerlöw. The performance caught everyone’s attention, featuring a projection of a stick-figure character that interacted with the artist on stage. 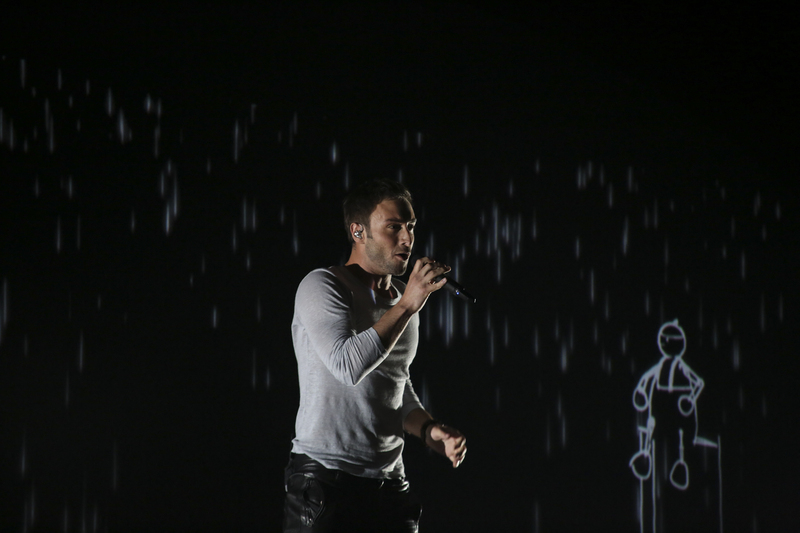 In the performance, Zelmerlöw plays a third character, the ‘hero’ referenced the title of the song. “Then another guy, from another school, came in. He saw me. He saw me as an outsider and he lifted me up,” he continued. Research from Northern Ireland shows that while the majority of pupils that have witnessed bullying have empathy for the young person experiencing it, less are prepared to take a stand against the behaviour. More than three-quarters of pupils in Year 6, and almost two-thirds of those in Year 9, said they “felt sorry for him/her and wanted to help”. However, pupils in P6 thought that their peers were more likely to almost never intervene than they were to intervene every time they saw bullying. For those in Year 9, more than three times as many people thought their peers almost never did anything to stop bullying, compared to almost always taking action. For teaching resources on taking a stand against bullying, click here.